Helen was last seen walking with her beloved miniature dachshund Boris on 11 April. On 15 July her family were informed that human remains had been found at the house she shared with her partner. This was later confirmed to be Helen’s body. Boris was also found dead with her. On 16 July her partner was charged with her murder. Please leave your thoughts and memories below. NOTE: In accordance with the wishes of Helen’s family all comments on the site are now closed. So saddened by this tragic news. Helen you were a brave, strong, inspirational woman who bought so much comfort to us widows out there. Life is just too cruel. May you and Boris rest in piece. Found this blog through another on grief and could not believe what I was reading. Such a sad ending to the life of a strong and courageous lady who even in despair sought to help others. Just shocked that someone could do this to her, why!? I hope she is reunited with her soulmate and is finally at peace. May you rest in peace Helen. And may your family and all of those who love you somehow find solace in the knowledge of everything that you did that was kind and thoughtful and good and brought comfort to their lives. Very sorry to hear this awful news. Helen's words were a great comfort to me after losing my lovely husband suddenly. I wish Helen's family peace and strength in the knowledge that she was loved, admired and respected. I found Helen's honesty and humour so helpful as I navigated my own "Planet Grief". I identified with everything she wrote. So deeply saddened by today's news. She leaves an amazing legacy. My thoughts her with all who loved her. I'm just filled with sadness and anger. Sadness that a wonderful talented kind-hearted lady is gone and enraged that a certain person extinguished such a beautiful light. Helen I miss your wisdom, your beautiful words, your humour but most of all your kindness. I’ve read the manifold posts generated by the wrenching news about Helen or “H” as I used to call her. They say so much of what I feel yet fall short in some way. That is NOT a reflection on any of the authors, it’s more that it more surely demonstrates that our grief for a lost family member, loved one or dear friend is unique to us, it is unable to be replicated in anyone else because our relationship with them was unique to us. How can I put this right? I can’t is the simple answer. What I feel and what I express here is for me... that is how it is. Like so many others, I am widowed. That is how we met. I was guided to WAY by a dear friend who prodded and eased me toward it. Not a widow herself but she had a friend who was and thought I’d possibly benefit. She was correct. H was also a member and a blogger of some wit and insight. One read of Planet Grief and bingo... I’d met someone who got “it”. I soon began corresponding via the blog-site and then in WAY. Before long a friendship emerged. A friendship I value for it’s honesty and warmth. She wouldn’t just say something I wanted to hear because it would make me feel better for a while, she would tell me what she thought, even though I may have disagreed either momentarily or permanently. I did the same for her I hope. She gently fanned the flames of romance again in me such that I was able to take flight again in the company of a sweet and lovely partner, giving me courage that we must not be afraid to fly close to the light of love once more. She was a great counsel and a fine wit. I shall miss her... I do miss her. I have never posted on a website ever before, but I feel moved to do so today. I am so very sorry at today's news. I feel so much for the loss of Helen; she was "there" for me in my darkest times when my husband died suddenly. She gave you permission to laugh at the crazy stuff that happens to you when you are widowed. She said all those things that come into your head, and you don't feel strong enough to say yourself. It just feels so wrong that this has happened to her. I am so incredibly sad to hear this news and send much much love to Helen's family. Helen helped me so much as I was coping with the loss of my husband. Her warmth, compassion and humour was very special. I wrote to thank her for her blog a few months ago, not expecting a reply. But the very next morning she sent me the most lovely email, which I will treasure forever. I just can't believe this awful thing has happened, it's so cruel. She was a special person who has blessed many lives. Completely devastated by this news. I was going to contact Helen after reading her book earlier this year (I am the Sue G that she mentioned in the book that she wasnt able to get hold of ) to let her know that i was still around and still reading her blog. I went away on holiday and when i got back i heard the awful news that Helen was missing. We met originally through Merry Widows, i lost my wonderful husband a couple of months before she lost JS, and as David has already said, she just "got it", she was able to write everything we were going through so eloquently but she made us laugh and cry in equal measures. When she started her relationship it was lovely to see her embracing life again, and i didnt want to bring her down, so i stepped away and just enjoyed reading the blog from a distance. I so wish now that i had stayed in touch. My thoughts and deepest sympathy go out to Helens family and all who knew and loved her. An amazing, loving, giving person whose memory will live on in the many lives she touched. My thoughts and prayers are for Helen and her family. Whether she knew it or not, Helen helped me so much on my own grief journey and I will be forever grateful. Words are so inadequate in expressing how I feel about this dreadful loss. Such a sad sad day. Sending love and the hope of comfort to Helens.loved ones. So sad to read the update. I read Helen's story - about the death of her husband - in the Guardian, and followed the news of her disappearance. She so did not deserve this. Condolences to her family and friends, a lovely lady. So very sad to hear the news. Helen's blog helped me immensely when I lost my partner 4 years ago and her kindness and compassion even in the face of her own grief was something I tried to emulate. I wished for her every happiness in the new life she was building and this news is devastating. My sincere condolences to her family and my thanks to ber - a remarkable woman. Terribly sad news. Wishing strength to all those mourning her loss. Helen was such a wonderful beacon of light and hope to those suffering loss. Discovering Planet grief brought great solace and comfort to my life in the dark months after I lost my wonderful husband. She was a brilliant, gifted writer and like countless others, I devoured her book , it made me laugh out loud and ache with pain and chronicled the roller coaster that is grief so exquisitely - as only another widow could. I hope Helen and John are reunited now sharing the deep love that illuminated their lives together for over twenty years. My heart goes out to her family and friends at such a dark and distressing time. Helen was a brilliantly funny,feisty and talented lady had so much more to give. I read Helen's Bikini book last year having gone through a similar experience. I loved her writing, her intelligence and her empathy. She made herself known to us a s readers- and in a way I felt we had connected through our shared story. I have been following her disappearance since April, expecting and praying she would turn up with Boris. I can hardly believe how this has turned out. I am just a stranger and have no right to or claim on any personal grief. But nevertheless it weighs heavily. I am grateful for this forum though - thanks you..and please can you pass on my prayers, support, sympathy and sadness to all Helen's family and friends. Many of them I feel I know by (nick) name. This is all just beyond belief. I hope that the truth will out and that healing can come. and that there is privacy and space to grieve too. She touched so many people and has been an inspiration. Reunited with John. So sad to hear the news about Helen. I really identified with her, having lost my husband, and her writing helped me enormously. My teenage daughter gobbled up all her books too. Such a terrible loss of a talented author. She and Boris will be dearly missed. May she rest in peace now that the truth is known. What a beautiful light Helen was in the dark shadows of grief and despair. I hope she knew how many lives she touched, I wish she could know how deeply she will be missed and the impact she had on grieving hearts..many of whom now grieve for the shocking, utterly despicable loss of such a heartfelt woman who had so much more to give, so much more life to experience. My heart hurts. Sending prayers and hugs to her loved ones and to all whom she impacted with her generosity of spirit and loving heart. My mum lost my dad in 1960. I have only really been reading about Helen this moning. So terribly sad to hear this news. 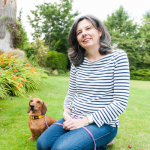 Helens incredible and moving blog posts were my life line in the early weeks of navigating widowhood following the death of my husband to a brain tumour in 2014. My thoughts and prayers go out to all those thAt knew and loved her so much. I truly hope she is in peace and unity with her husband now? I am devastated to learn of what has happened. This woman has been through so much and for her life to end like this and her body dumped in her garden is just so very very sad and inhumane. RIP Helen. So very very sad to hear the awful news today. Helen helped so many of us to deal with the loss of a loved one. I hope she is at peace now and reunited with her beloved John. My thoughts are with Helen's family at such a tragic time. I bought Helen's book for my mum after my dad suddenly passed away. Ended up reading it myself and immediately felt as though I was sitting opposite Helen in a coffee shop, listening to her relay her experience of loss and grief. Helen had that way about her! I am extremely sorry to hear the dreadful news. I feel so deeply saddened to hear this latest news. I didn't know Helen personally but I followed her blog avidly as she just had the perfect words to sum up how we all felt on our own grief planets. She was kind enough to put some of my words in her book as she said they helped her but I hope she realised just how much she helped so many people with her own words. She will be greatly missed. My love and thoughts are with all her family and friends. This is so terribly sad to hear that Helen will not be home. Rest In Peace and fly with the Angels. I am so very sorry to hear of what has happened to Helen. She has helped so many of us face a future we did not plan for. Without this blog I don't know how I would have gotten through the past 9 months. I hope Helens friends and family can find even a glimmer of comfort knowing she is with her true love her husband. Helen wherever you are I hope you know how much you have helped the bereaved community. I am so sorry for what has happened to you. I don't understand it. I feel shocked. I lost my husband in 2013 at the age of 40. It was devastating. I spent hours on Planet Grief reading all the stories and I've read your book. Just listened to the news on TV. How can the death of someone I have never met feel so personal. Have read her amazing book which made me laugh and cry. She was the person who had actually felt what I felt after the sudden death of my Brian. Tears are flowing for her and myself. Hope your literary legacy goes on to help others. RIP. I feel the same, this has affected me greatly and feels so personal. So gutted and angry that he could do this. How can anyone do this to a human being ?? I am Hat, so given the nickname by Helen in the early days because, well, I had a penchant for hats!. We were friends from the first day of her tragedy, along with lots of others who walked this god-awful path together. We all cried, and sobbed,ranted, shouted at the sky and tried to console ourselves..and Helen opened this blog. Together we launched the balloon debacle. I bought balloons for my husband and JS..and she bought them for JS and my husband. Hers launched beautifully and soared off magestically into the ether..bleakly I completed my plan of trudging up a mountain - only to find they wouldn't float...it was one of those dark, black moments that only widow humour can fill...and fill it we did....Never in a million years did I ever think I would do what Ive done today(and I missed out the apostrophe especially for you Helen!) . Today I bought another balloon , this time for Helen. A cerise star...I made the shop assistant swear it would float, and I took it to a high place and launched it for our dear much loved friend...with love. It floated- thank goodness. .As our friendship started..so it has so cruelly and prematurely ended..and I am heartbroken and angry to find what happened to this brave, intelligent warrior girl. Rest in Peace my friend. I think I saw you"
Helen, you were a beacon of light to me and to so many other widows the world over. Although we only communicated briefly via your blog, I felt like I knew you. Your writing and your journey were inspirational and I am so devastated by the news. May you be at peace now - reunited with your darling JS. I didn't know Helen personally, but I felt like I knew her so well. I followed her blog for 5 years and also naturally went on to read her book immediately it was published in October ( and re-read it again more recently since). Her words were so helpful to me and ( I know many people have said this ) but she really could make you cry and laugh in the same sentence. A remarkable writer and obviously a very compassionate and loving person. I could identify with Helen in so many ways - even down to our shared love of sausage dogs. Poor little Boris, I feel so upset about him too. I am so saddened and upset about this I felt I had to post a comment here. My thoughts go out to Helen's family and friends - if I didn't even know Helen personally and I feel this way, I cannot imagine how they must be feeling. Helen brought hope and comfort to so many - and pleasure from her non grief related books, I hope they are able to take a small amount of comfort in this. RIP Helen and Boris - reunited with JS. I am so so very sorry - I burst into tears at the news - only just found you and now you're gone too - Helen's story moved me deeply - many of the stories here touched me. I found the blog by chance on the anniversary of my lover's murder years ago. Thank you that that you were all here for me. I hope we continue . . . . . Such a loving giving person loved by so many. Fly high Helen holding hands wit JS and Boris at your heels. I can and I can't believe what has happened. I knew that you were not with us any more because I didn't believe that you had "gone into hiding" I felt that you had moved on from your grief and had found happiness. What I can't believe is, is why someone would ever hurt you. I can't believe what has happened to you beautiful Helen, kind Helen, hilariously funny Helen and amazingly strong Helen. I saw you every month and we chatted and I hopefully made you feel better. You always made me laugh even though you were grieving. You were always a person I would admire and laugh with. I feel so painfully sad knowing what has happened - like everybody else I just don't understand. Love you wonderful Helen and may you rest in peace. I was devastated to hear the news today. I never met Helen but I was a silent reader of the Planet Grief blog during my mother's battle with terminal cancer. 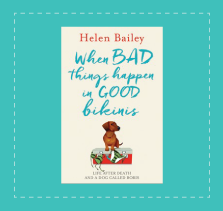 Although Helen's story was very different, her honest and thoughtful writing about grief brought me comfort and hope at a time when I felt my world was crashing around me. I've been following the news since her disappearance. I wish I had contacted her to let her know the profound effect her writing had on me. She is a testament to the power of human connection to bring solace during our darkest hours. My thoughts are with her family and friends at this desperately sad time. So sorry to hear the sad news. Condolences to Helen's family. I did not know Helen but became intrigued by the news story as I have a "sausage dog" and I work in psychotherapy. 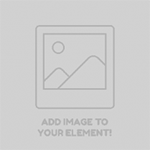 A lot of my clients have found comfort in Helen's blogs. Really sad news. A loss of a wonderful lady by all accounts. Walk hand in hand with dear John and Boris at your side in a peaceful place of tranquility and beauty. You gave comfort and laughter to so many and we are all grateful. You are now at peace and will not be forgotten. I never had to seek Helen's wise counsel and did not know much about her until she was missing, but now I can't stop thinking about her and her little dog. What a sad sad story,it makes me so angry to think of their misplaced trust. I prayed and prayed that you had simply done a 'Shirley Valentine'. I had begun reading your book before you disappeared and had to stop. I will begin reading it again and get through my own grief with your help and I will think of your courage in every page. I am so saddened to hear this news, Helen's blog and book have helped so many people deal with grief. The longer I live, the more I lose faith in humanity, such a senseless loss. Sincere condolences to Helen's family and friends. I've just finished "When Bad Things...." and I am mortified that you and Boris met such a horrific, pointless and tragic end at the hands of the man you were brave enough to give your heart to. I hope he pays enormously for this and I hope your loved ones at least get an answer to the question we're all asking: "why?". I hope you, Boris and JS are all reunited again, this time forever. There is nothing I can add to all the wonderful comments preceding... but why, oh, why? I too am heartbroken!! To Helen's family, I am so sorry that you have lost this beautiful person - if I, a relative stranger can feel this deeply, I can not begin to understand the depth of your sorrow and pain! You will be forever in my thought, Helen!! Helen was an inspiration. I am saddened by the news. I love the tributes to Helen in this special place, to light a candle and have a time of reflection in the magnificence of her. and you are such that you live up to your name now and always. I think of you, in your despair and grief, and laughter - and how you generously tried to help others whilst grabbing some essence of the madness that overwhelms us in the physical loss of a beloved. It - the loss - invades every part of us until we have no recognition or dependency of oneself. It even creates a mask on our previously known face. And then ... you took the bravest step towards a new beginning with another. You knew it could not be John - but because he wasn't here on earth, you bravely stepped forward into HOPE (I remember the emblem you bought for Christmas despite not being able to face it without JS). And within the HOPE you found - you took every part of yourself, you took generous love towards sons without their Mother .. you took funding of a beautiful home - you took your humour and your soul. You gave everything. We are all devastated - lost in a madness of Why? and How? and missing you, hurting for you and thankful for all you have given. We have entered your 'Planet Grief' but now it is for you. We are angry, confused, we almost need YOU to tell us what happened - but would you know? I only want that we shall know .. besides meeting a potential psychopath - or wishing to steal more from you than YOU - how could anyone take your life and that of your most precious 'life safer' - beloved Boris. The most cruel irony to all of this, Helen, is that you found an amazing way to help people towards truth through your honesty of exposing everything you felt - and meanwhile entered the den of a liar, deceiver .. the antithesis of all you are. We shall not ever forget you - while we also give compassion and love towards your family and friends, in their pain. Thank you for your kind words. I know, like me, you will be terribly saddened to learn of Helen and Boris being dumped in a Cesspit. We all feel so angry that someone should take everything from her, and her family - with no respect whatsoever towards her beauty, her love, her courage and talents. I wish now we could only see photos of Helen - and not of him in any of them. When I saw "it" on the news, I was totally shocked and saddened. My thoughts are with her family and friends. I started to check nearly every day when Helen went missing, to see if she had been found - had read some of her blog, and wondered what had happened to her and Boris. Words are now inadequate - shocked and deeply saddened by the news. You were very special, Helen. Like many others, I came across Helen after losing my beloved husband of 43 years suddenly. A friend heard her on Woman's Hour and thought she might help me. After reading her book, I felt I knew her and she was one of the few people to be absolutely honest about Planet Grief. I want her family and friends to know how much she helped people like me and am so sad she didn't find the happiness she deserved. So saddened to hear this awful news. Helen's book was recommended to me after my husband passed away. It helped me see that what I was feeling was 'normal'. My sincere condolences to her family. May justice be served to the person who took her life away. Words fail me, terribly sad, heartbreaking news. As a children's book author, I am a fan of Helen's work. As someone who has spent time on Planet Grief I find comfort in her words, a gift to those in the throes of loss. My great condolences to her family. I hope you find comfort in her words and in her legacy. A sad story. I hope that both Helen and Boris are in a better place now. I didn't know Helen but found myself shocked and upset by this news, particularly after her disappearance had been portrayed so convincingly as her choosing to go AWOL for a while to be on her own a la Agatha Christie. She didn't deserve such horrific luck after everything she had already been through. Fingers crossed she and her darling dog get justice. I wonder what on earth was behind it. I heard Helen on Woman's Hour earlier this year and immediately came to read her blog. I was still coming to terms with the death of my father and everything she said about grief seemed to strike a chord with me. Helen was the same age as me and grew up just a few miles from where I did in Newcastle. I felt as if I knew her. I contacted he by email and we exchanged a bit of chat about the North East and about writing, as I am writing a novel which includes the process of coming to terms with the death of a parent. I am so sad and angry that she has been taken from us in this way. She was such a warm, giving person and clearly used her own difficult experience to help so many others. Helen and I never met but we were very much friends in every sense of the word. We would chat via email and laugh (in a virtual sense) about the minutiae of life. Our journeys with grief were very similar in timescale and we mirrored each other with happenings along the way. I feel sick with sadness. Unlike Helen, I am not good with words and cannot begin to describe the loss I feel. Helen was unique, warm, loving, funny, big-hearted and beautiful and I miss her. Like so many others I never had the opportunity to meet Helen in person but I was another of her tribe, sitting on the sofa or laying in bed reading her words, tears streaming down my face with her one minute, laughing with her the next. I had landed on my own Planet Grief in 2006 and at times reading her blog and then her book took me back to the early days when it was all so painful and raw but also seeing that through it all she had hope. The same hope that keeps us all putting one foot in front of another. I remember reading the last lines of her book, a smile across my face knowing that she would be ok. She would still stumble and fall from time to time, heck we all do don't we but what shone through was her determination not to let widowhood define her and it was a journey I felt I'd walked alongside her with. I looked at When Bad Things Happen sitting on my bookshelf yesterday, knowing that I'll never open the covers again. So much hope for the future contained in those words now tinged with an ugly heartbreaking reality. I live not far from Broadstairs and have had many day trips over there in the three months since it was announced she was missing. I found myself scanning faces, I'd be looking for dachshunds on the beach knowing it was probably fruitless but unable to quash that tiny bit of hope that they were around somewhere. Of course they were, the alternative was too horrible to contemplate. I shall go back to Broadstairs again soon, go down to Louisa Bay and, hoping not to draw too much attention to myself as I know more tears will flow, remember a friend I felt I knew in spirit if not in the flesh. As a stranger feeling this saddened and hurt but, as someone else has commented, having no "claim" to this grief and yet feeling it anyway my heart goes out to Helen's loved ones, friends and family at this horrendous time. You will have so many people walking alongside you, supporting you and thinking about you even though you can't see us. I hope Helen knew just how much she was loved by those who read her words quietly in the background and I hope JS and Karen are there waiting for her and Boris on the other side. I first heard of Helen Bailey when her disappearance was reported in the news, which also mentioned her grief blog. Having just lost my husband a few weeks earlier, I looked up the blog and I found some of the most helpful, insightful and hopeful writing on grief. A few weeks later I read the book. I'm sad to learn of her death, and I'm angry that we have lost such a talented writer in her prime, in tragic circumstances and for no good reason. My heart goes out to her family and friends. How cruel an ending. Unbearably so. It plays and plays again in my mind. I am close to tears yet I I didn't even know of Helen until she went missing. The missing news report troubled me, on some level it seemed something was wrong, and I kept checking for updates - just hoping she was okay. I've lit two tea lights tonight, for her and for Boris and I pushed them close to each other so they have each other. I feel silly just typing that but there it is. Such is the feeling of needing something to do. Something to show I care whilst wrestling the grief of life being utterly utterly unfair. Helen's book was an enormous help to me when I lost my husband. Filled with sadness. As a writer and widow myself, I felt very inspired by Helen, even though I never met her. Such a sad and shocking time for her friends and family, and such a loss to the widowed community whom Helen was a beacon of light and hope. I was, like you, a wife at breakfast, widow at lunch 13th September last year. Dearest Helen, I didn't know you personally but I felt like many others that you were my friend. I read an article about you, read your book and then followed the news about your disappearance. I kept thinking you had maybe gone abroad and as I live abroad I would have loved to have welcomed you here. I am heartbroken that you and Boris are no longer with us. Rest in peace dearest Helen and know that you were loved and appreciated by so many people, and that you will always be in my thoughts. I am sure, like me, many of you are checking the news every day to see if there is any update in this case. It is easy to see from all the messages here that Helen was much loved by us all, and it is not out of any morbid curiosity that we are desperate to find out what happened to Helen and Boris on that dreadful day, but that we don't want to hear that either of them experienced any prolonged suffering. I still cannot believe this has happened to our wonderful Helen and the idea that anyone known to her could hurt such a caring compassionate lady just doesn't make any sense. I know that every time i think about my darling husband, i will remember how much Helen helped us to pull through even whilst dealing with her own grief. Her lovely words and beautiful smiling face will never be forgotten. Yes, I too am waiting for news that will bring some kind of explanation to this shocking situation. Heart goes out to Helen's family ad friends. A sharp, funny, kind hearted and warm ray of hope to so many of us. Thank you Helen. Love to all of you PG blog readers out there- I know we all care so much, RIP Helen and Boris. I happened upon this blog after curiosity from the global article regarding her murder. I lost my partner in May of this year and so far had been dealing with my grief through prayer and my faith. It really hadn't occurred to me to seek others grieving. Once I started reading her blog I realized what profound impact her story and experiences had on me and my grief. It is a pity that only after her death have I found this remarkable woman who touched my heart so deeply. I have started reading her blog from the beginning and haven't made it through 2011 yet. I hope I find at some point in her journey, she found peace and comfort in knowing there is a God who does truly care for what we are going through. Now I grieve for my partner, Natalie, Helen & little Boris. May there be justice for Helen & Boris. I think it's fair to say that many of us would help in some way if we could. Perhaps as time passes and the legal process moves on something may present itself. Helen evidently believed in the power of positive thought and maybe we will be able to do something together at some stage to perpetuate her kindness to others. Meanwhile all strength to her family. I wish I had met you. Hard to believe what's happened. Through mutual grief we found friendship, as time progressed we allowed ourselves to laugh and shared the ups and downs of life. I am heartbroken that your 'happy ever after' was not to be. My thoughts are with your family and friends, your light shone so brightly only to be distinguished too soon. Margaret it's so heartbreaking for us who never met Helen but felt the hugs through her writing.you must feel devastated but the comfort and hugs you gave her must have been so special to her and gave her comfort when she needed it.Only time will tell what happened and hope you get some comfort from reading everyone's thoughts on here.The legacy she has left that all us non writers are finding words that will heal . I read an article on The Guardian about Helen's disappearance, and from there read another article written by her and downloaded her book. As I read it, I felt, as many have said before, so very inspired by her words and the warmth of her personality shining through. I just could not believe that she could have deliberately "disappeared" herself or Boris, and that something dreadful must have happened to them. It's beyond belief. I'll never forget Helen. I wish her family and friends love and strength in the days, months and years ahead. My sister loved writing from an early age and this blog Planet Grief was her way of restarting that writing following the traumatic and tragic loss of her husband John. Written from the perspective of a widow, Planet Grief has been (and I hope will continue to be) a valuable resource to those who have lost their partner and seek support through dark days. I have read every single one of the comments posted here and wish to thank each and every one of you for them. They are all much appreciated. Helen’s writing style was very much a reflection of her persona. If you felt you knew her despite having not actually met, then let me assure you she was in life as she appeared in print. Helen was witty and intelligent and even in times of great distress her humour lifted both herself and others above the tears. Helen was exceptionally unlucky to lose both John and her own life in different and tragic circumstances. However, despite those tragedies I think her mantra 'It will be alright in the end, I promise you' remains an enduring message from her to us all.